A Meridian watch winder incorporates the ability to completely customize your accessory storage through a unique modular system. Includes three winding modules, black textured silk, high gloss finish, wooden frame and chrome finished hardware. Two year manufacturer warranty worldwide. 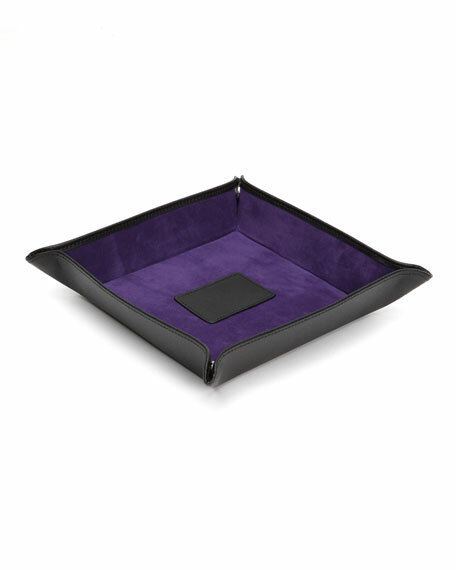 15.5"W x 6"D x 8"T.
The Blake coin tray, in pebble leather, incorporates a classic gentleman's office or bedroom necessity with a bit of flair. Includes ultrasuede lining and snap closure.